The 2017 Solar Eclipse is fast approaching on August 21st! In the first post of the series, I covered resources for learning about solar eclipses. There are book and video resources as well. Today’s post will cover the ins and outs of viewing this eclipse. We’ll also take a small detour through eye anatomy and sunlight experiments along the way. Next time I’ll share some hands on activities to try. The 2017 full eclipse will be viewable in the Continental US. As I explained in the last post, a solar eclipse happens when the moon moved between the sun and the Earth. The moon blocks out the light from the sun so it casts a shadow on the Earth. Since the moon is moving, the shadow moves, too. That means that people all across the country will have a chance at seeing a full eclipse. Being the science geek that I am, my family is making the trek to Carbondale, IL – the official location that NASA is using to study the eclipse. It’s also only 3 hours from my home in central Illinois. When you live in the cornbelt it’s not often that things are conveniently located to you. Path of the full eclipse not coming to your town? No problem. Most of the continental US will be able to see a partial eclipse. Check out this interactive map to see what the eclipse will look like in your hometown. If you are traveling to see the Eclipse make sure to check availability of lodgings in advance. Many prime locations are booked up solid. I had to call 5 campgrounds to find a campsite. And I was calling last January. Even I didn’t know people were that passionate about eclipses. DON’T BE THE TOY SOLDIER! Yep. Your eye has a lens in it. Just like the lens in a magnifying glass, it changes the path of light so that it focuses on a single point. If your lens doesn’t focus the light just right, you’ll need even more lenses (glasses or contacts) to help with focus. OUCH. No, your eye won’t actually catch fire but you can cause permanent blindness. Be safe. Do not be the toy soldier. So hopefully I have convinced you not to look directly at the solar eclipse. Luckily, there’s a simple solutions. Regular sunglasses won’t do. You’ll need eclipse glasses like these to protect you. Luckily they’re fairly cheap and easy to get. Get a pair for the whole family! All the eclipse viewing wonder without the ouch. Next time I’ll post about other fun activities you can do for the eclipse. Yesterday marked one year since the New Horizons space probe made it’s flyby of Pluto. That also means it’s been over a year that I’ve been working on writing a book about the mission. Uhm, wow. It’s been quite a year. The New Horizons mission was historic. It was the first mission to Pluto and the first to visit anything that far away in our solar system. Scientists made many amazing discoveries. First off, Pluto has a heart. And it has a heartbeat! (Ok, not really, but it makes a good headline.) The heart is known as Sputnik Planum and it’s made of nitrogen ice. On Earth nitrogen exists as a gas in our atmosphere, but Pluto is cold enough for it to freeze into ice. Nitrogen periodically bubbles up out of the planets crust and spreads out over the heart. The rest of the planet may be roughed up with craters and mountains, but the heart is nice and smooth. These “heartbeats” are like spreading a layer of frosting over a cake – it gives it a nice smooth finish. A frigid, icy heart would be a bad thing for a person, but for a planet it’s just plain cool. We also found out that Pluto is bigger than we thought. That’s a big deal. In 2006 the International Astronomical Union ruled that Pluto wasn’t a real planet – it is part of a new class called dwarf planets. The decision was spurred when a researcher discovered something out past Neptune that was bigger than Pluto. Many such things had been found but this was the first that was bigger than Pluto. If Pluto was a planet, so was this new thing. And it might not end there; one estimate is that there are hundreds of these things. Rather than let new members to the planet club, Pluto got demoted. Not all scientists agree with the decision. The head of the New Horizons mission has been particularly vocal in his disagreement with the decision. So you can imagine how he felt when it turned out Pluto was the biggest dwarf planet after all. It’s not over, though. A year out from the New Horizons flyby of Pluto and we’re still getting data back from the probe. It’s so far away and uses so little power that sending information back to Earth is slower than a turtle in molasses. We’ll still be getting new data until October. It also takes scientists awhile to make sense of all that information. We’ve learned a lot, but we will still be making new discoveries for years to come. In 2019, New Horizons will make another historic first. It will be the first to flyby a Kuiper Belt Object. The Kuiper belt is a band of icy, rocky objects far out past Neptune in our solar system. Some dwarf planets orbit out in the Kuiper belt but mostly Kuiper belt objects are just lumpy rocks covered in ice. That might not sounds that interesting, but scientists would disagree. Those lumpy rocks haven’t changed since our solar system formed. Studying one of these Kuiper belt objects up close will tell us a lot about the early solar system. New Horizons could unlock secrets of our early solar system. As exciting as this year has been for science, its not over yet. Happy Flyby-versary, New Horizons! Here’s to many more. It’s no secret I’m a space lover. If you follow we on Facebook and Twitter you know that half my posts are about space. Lots of kids love space, too. 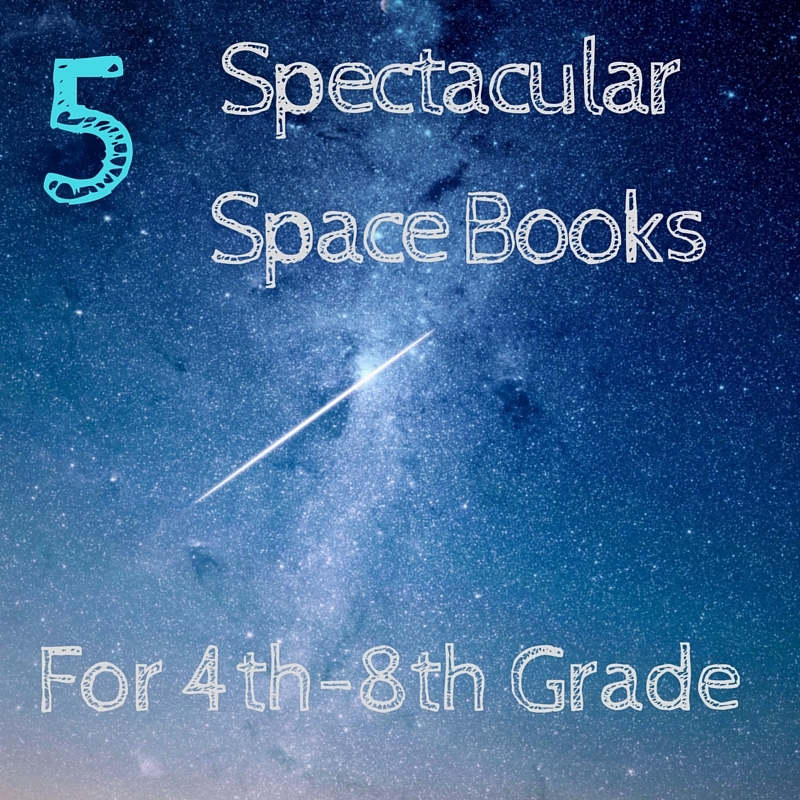 There are oodles of lists of space picture books. There are even whole lists of Pluto picture books. 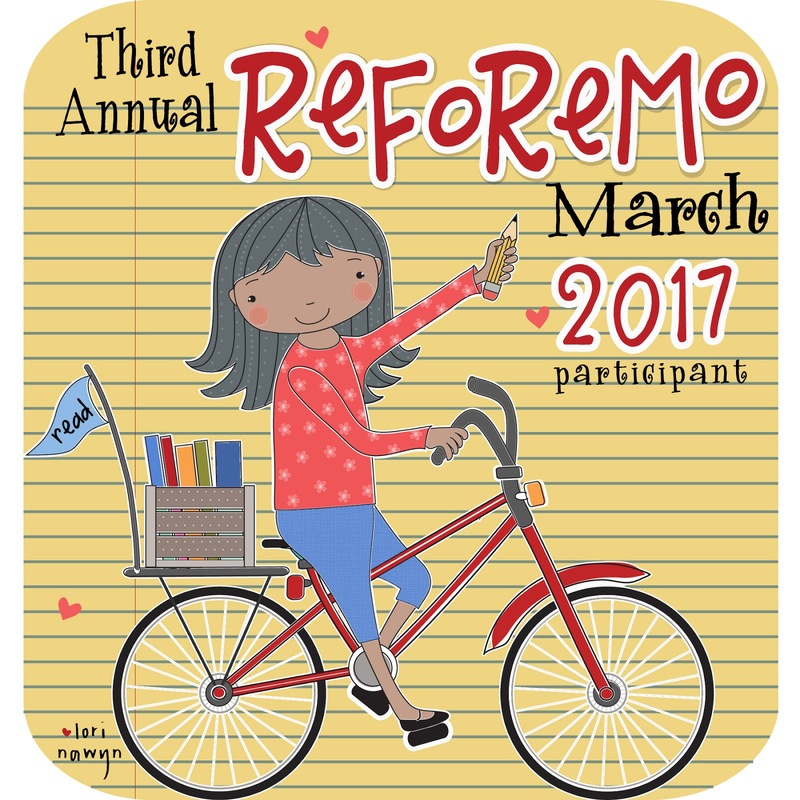 While picture books aren’t just for little kids, older kids crave more. More information, more depth, more excitement. There are lots of great books for the 4th-8th graders but there aren’t many lists to help you find them. This post goes out to my fellow space-lovers just looking for a good book to read. These books are my top picks for 4th-8th graders. I love a true story told well. All of these books are nonfiction but most are written as engaging stories, rather than textbooks. They’ll let you experience what it’s like to roam the red planet, Mars, or sit on Earth sweating bullets when things go wrong far out in space. The tale of the Mars Rovers, Spirit and Opportunity, two rovers that were only supposed to work for a couple of months but kept going for years. (Mighty, indeed.) Along the way they taught us a lot about Mars and about problem solving. Buzz Aldrin wasn’t just the second man on the moon, he’s also a space researcher who is helping to plan the first mission to put people on Mars. This book will tell you all about what it will be like to be one of those first few Martian pioneers. This book is a fascinating read about black holes, quite possibly some of the coolest (and scariest) things in our universe. Black holes hold our galaxy together and have such strong gravity that they can even bend light. Lots of books will tell you about the astronauts that went to the moon. This is the only book that tells you about the seamstresses that sewed their suits or the photographer than taught them to take those amazing photos. This book is all about the people who made it possible for the astronauts to go to the moon. This beautifully illustrated books tells the story of every mission that took men to the moon. If you’ve ever wondered what it was like to go to the moon, this is the book for you. There you have it. Five of my favorite space books written just for middle grade students.Do you have a favorite one to add? It’s true, counting your blessings does make you happier. I try to always keep this in mind when things go wrong. With a little practice you can find the silver lining in almost any situation. My washing machine broke a couple of days ago giving me a break from laundry. When the dishwasher broke last week, we got to eat out. And the 5 inches of water that flooded our basement between Christmas and New Years…. Ok, I got nothing on that one. The last few days I’ve been ill. Not wretchedly ill. Just I’m-going-to-stay-in-bed-all-day ill. The bright side of illness is that you get a free pass to be as lazy as you like. Sometimes, happiness is staying in bed and watching a really good YouTube channel.